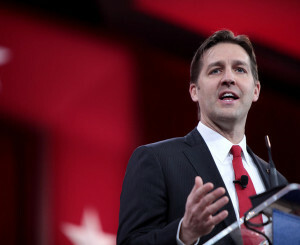 Senator Ben Sasse introduces a bill that helps advance the cause of repeal in six ways, most importantly by reducing the likelihood that Republicans would respond to a favorable verdict in King v. Burwell by expanding or “fixing” Obamacare. A Court Rebuke, Then Effective Repeal and Replacement? GOP House chairmen, listening to the American people, start to outline a plan for how the goal of repealing and replacing Obamacare can become a reality. King v. Burwell affords a great opportunity for Republicans to advance a conservative alternative to Obamacare and provide a clear choice for voters in 2016. Will Republicans Make the Fatal Mistake of ‘Fixing’ Obamacare? The worst thing congressional Republicans could do in response to a favorable ruling in King v. Burwell would be to negotiate “free-market fixes” to Obamacare with the Obama White House. In an effort to keep Americans from feeling the legislation’s full effects, Obamacare’s cuts to Medicare Advantage, its employer mandate, part of its individual mandate, and now its requirements for paying back excess subsidies have all been delayed, and none of them by law. Far from increasing competition and choice in health care as President Obama promised, Obamacare has resulted in higher health-care costs and fewer options for Americans. The CBO projects that Obamacare will cost $50,000 per newly insured person over the next decade — in addition to $200 billion in “penalty payments” from Americans who refuse to buy or provide federally mandated insurance — and will leave 31 million uninsured. Obamacare’s income-based subsidies are increasing the IRS’s unwelcome role in Americans’ lives.